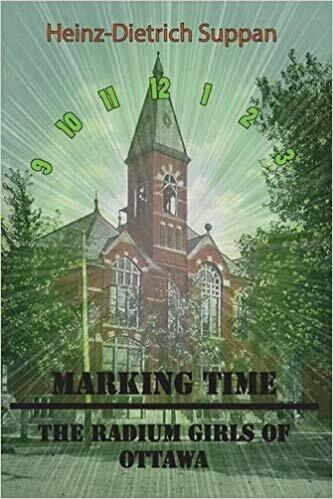 Heinz Suppan will present 'Marking Time: The Radium Girls of Ottawa.' At the turn of the 20th Century, radium became a miracle cure for almost any ailment. After World War I, several U.S. companies decvided to use radium to paint watch dials. Nearly a century later, Suppan pays tribute to the girls exposed to this deadly toxin by telling their story. Suppan is a German and History teacher Illinois Valley Community College. Book2Art: 'Radium Girls' by Kate Moore on Thursday, October 18 at 6:30 p.m. at the Pekin Public Library. Radium City Film Documentary on Friday, October 19 at 11:00 a.m. at the Pekin Public Library. The play, 'Radium Girls' at Pekin Community High School on Thursday, November 1 at 6:30 p.m.; Friday, November 2 at 6:30 p.m. and Saturday, November 3 at 2:00 p.m.